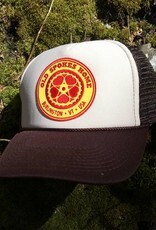 A beige foam front panel and chocolate brown brim and mesh back. 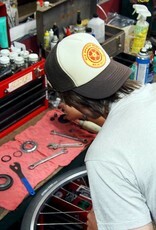 Adjustable sizing. 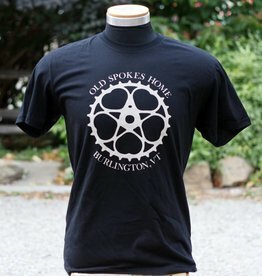 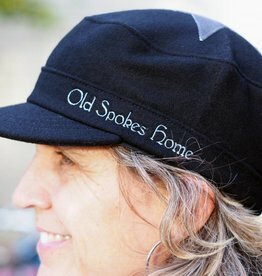 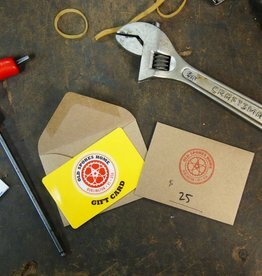 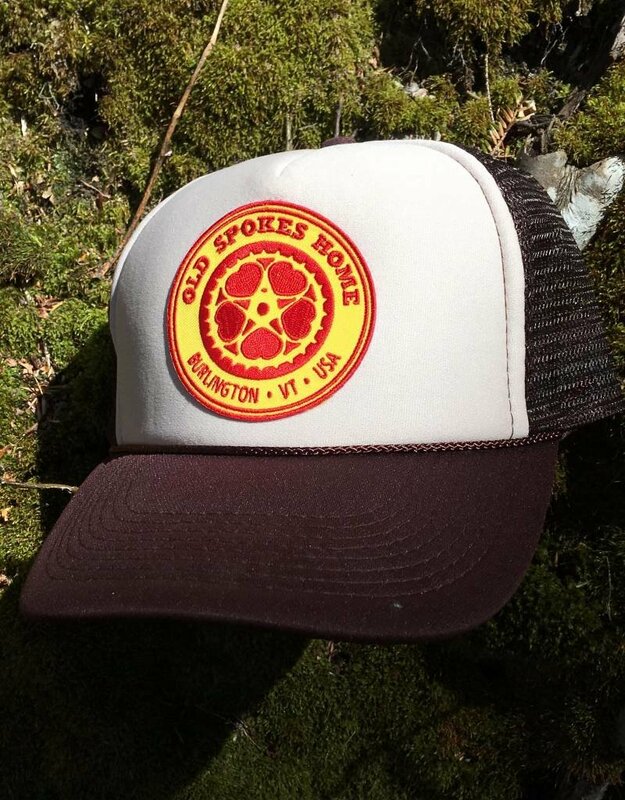 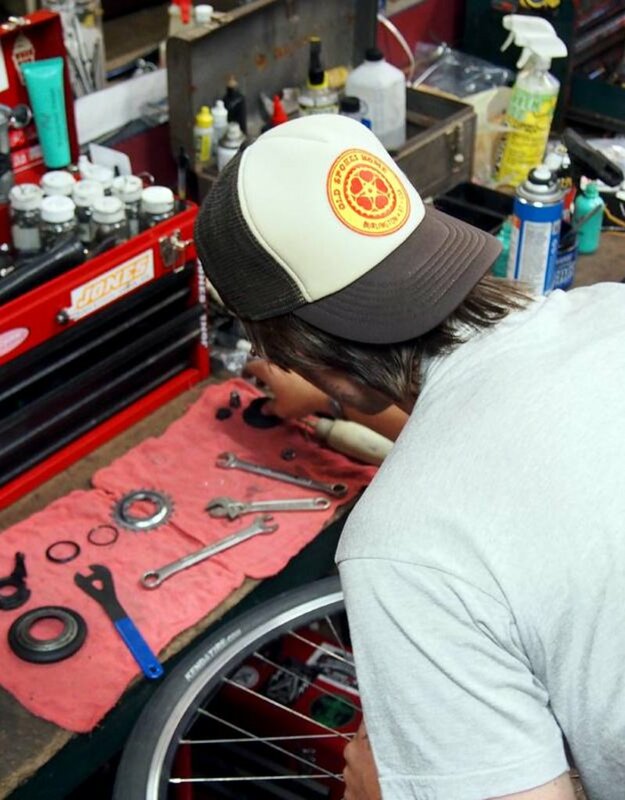 Adorned with an Old Spokes Home logo patch made by Falls Creek Outfitters in Falls Creek, Pennsylvania.